The Golden Temple is the principle shrine of Sikhism. Only a fewer Hotels in Amritsar especially near Golden Temple have such a combination, where the Punjabi culture, modern luxury and traditional hospitality meet together . Hotel Sarovar is located so close to the Golden Temple, that it takes less than a minute's walk to approach the holy shrine. Panaromic view of the Golden temple and the audible soul touching spritual kirtan from Golden temple is an absolute delight. Our hotel's proximity to golden temple makes it one of the most preferred in region. 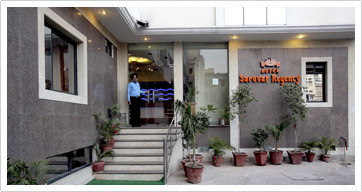 Hotel Sarovar Regency is located on the periphery of the Golden Temple Complex and it offers wonderful opportunity to enjoy one's morning and evening walks in the lush green belt (popularly known as Galliara), besides tracing the magnificent and glorious past of the city while walking along the heritage walk trail. 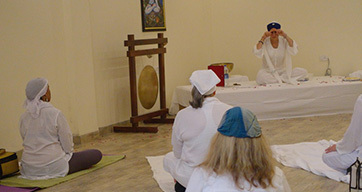 Hotel Sarovar Regency offers you a Yoga Studio with perfect environment and amenities near the spiritual power house - "Sri Harimandir Sahib"